Back with a bang, pop punk icons Blink-182 are set to hit our shores in the new year, as Getintothis’ Craig MacDonald finds out. Pop punk icons Blink-182 have announced details of a huge UK tour for 2017, with the trio set to return to Liverpool for the first time in four years at the Echo Arena on July 15. 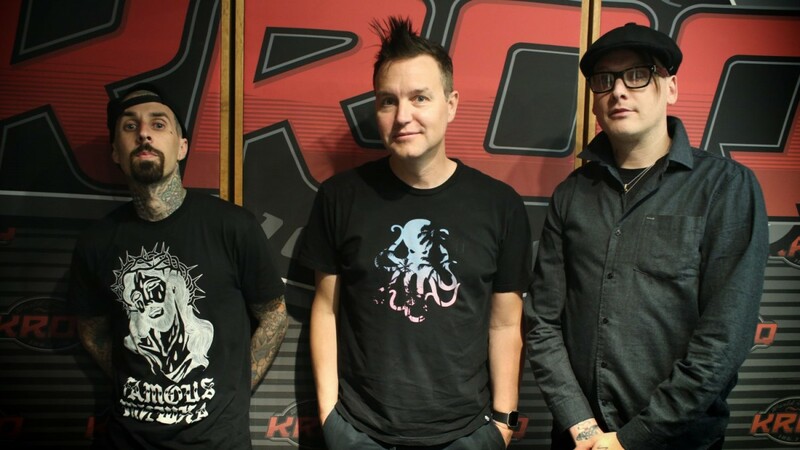 The tour will be the first with new vocalist and guitarist Matt Skiba, with the former Alkaline Trio member replacing professional UFO hunter Tom DeLonge in light of his departure. Together with Mark Hoppus and Travis Barker, the trio will be bringing their chart topping seventh album California to ten arenas throughout the UK next summer. With the group winning much acclaim for their latest work and influencing a generation of new pop punk outfits, there will be many folk hoping to catch the trio this time round. Blink-182 play Liverpool Echo Arena on Saturday, July 15 2017. Tickets go on sale from 9am on Friday, November 11.